Good news for Thrift Savings Plan (TSP) participants – the Thrift Savings Plan officially began offering a Roth TSP option in 2012. The Roth Thrift Savings Plan option is similar to a Roth 401K. It is basically a merger of two of the popular retirement plans currently available; the Roth 401K, and the Thrift Savings Plan. This article details how the Roth TSP works, benefits of investing in the Roth TSP, and additional information to help you decide if the Roth TSP is the best option for you, or if you should invest in a Traditional TSP account. I’ve gone on record several times as saying the Thrift Savings Plan is awesome for investors. There are a few downsides, but it’s almost all good for the average investor. The average investor won’t be able to find such a simple and easy to use investment plan that offers wide investment diversity, or one that offers lower management fees. I’ve also mentioned that I love the Roth IRA and that everyone needs one. The primary reasons Roth IRAs are so valuable for investors is due to their long term tax benefits. You are able to contribute funds which have already been taxed at your current income level, invest those funds and allow them to grow until you reach retirement age, then you can withdraw them tax free. Since most military members are in a relatively low tax rate, this is an incredible opportunity to pay a relatively low amount of taxes on your income, let compound for decades, and never pay taxes on it again. The Roth TSP account offers the best of both worlds as it combines the benefits of a Roth IRA with the Thrift Savings Plan. You can contribute to any of the Thrift Savings Plan funds (which are best in class in terms of management fees), and enjoy the long term tax benefits of the Roth classification. 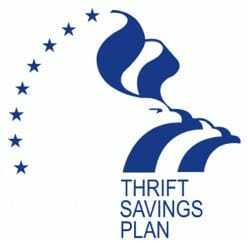 A Roth version of the Thrift Savings Plan combines the benefits of a Roth savings plan with the TSP retirement savings plan. Instead of making contributions before paying taxes like you currently do with the Traditional TSP (and paying taxes when you withdraw the money), Roth participants will pay taxes now and make tax free withdrawals in retirement. This means your Roth savings will grow without the drag of taxes because your contributions have already been taxed. You will not pay any federal income taxes on your withdrawals so long as you meet Roth withdrawal eligibility guidelines – typically age 59½ and have been making Roth contributions for a minimum of 5 years. Another benefit adopted from the Roth 401K plan is an absence of income limitations for plan participation. All Thrift Savings Plan participants can contribute to the Roth TSP this retirement plan regardless of how much money they make. This differs from Roth IRA contribution limits which are tied to income. The Roth TSP contribution limits will be the same as all TSP contribution limits, regardless of whether you invest in the Roth option or the traditional option. It is important to note that the Thrift Savings Plan contribution limits apply to your entire TSP account. So if the annual contribution limit is $18,500, you can contribute up to that much across your entire TSP account for that calendar year. You can make the contributions in your Traditional TSP, Roth TSP, or a combination of the two, so long as you don’t exceed the annual contribution limit. Matching contributions don’t count toward the $18,500 limit. Prior to January 1, 2015, Roth TSP participants were able to make contributions in a fixed dollar amount. However, the TSP set new rules limiting contributions to be set as a percentage of their pay instead of a dollar amount. Traditional contributions were already processed based on a percentage of pay. The change was made to standardize the system across Traditional TSP accounts, Roth TSP accounts, and the civilian and military pay systems. Who is affected? All active duty members of the Air Force, Army, and Navy who contribute to the Roth TSP. This will also affect members of the Guard or Reserve who are activated for over 30 days. If your goal is to max out your annual Roth TSP contributions, then it’s not too much trouble to calculate the percentage you need to contribute. The annual Roth TSP contribution limit in 2018 is $18,500, which comes out to $1,541.66 per month. Just divide this by your salary to determine how much you need to contribute. If your salary is $6,000 per month, you would divide $1,541.66 by $6,000 and you would get 25.69%. So you would need to contribute roughly 25% of your income. Catch-up contributions, for those age 50 and over, are limited to $6,000 per year. So if you are eligible to make catch-up contributions, be sure to include that in your calculations. The max for you would be $24,500 per year, or $2,041.66 per month. If you have an $8,000 salary, you would divide your $2,041.66 contribution by your $8,000 salary, which would come out to a 25.52% contribution. Obviously, not all numbers work out that easily. But the concept is the same. Can you contribute too much to the TSP? The TSP has processes in place that should automatically stop contributions once you reach your annual contribution limit. If you accidentally contribute too much, the Thrift Savings Plan should refund the extra contributions. That said, you might find that it is a manual process, or there may be a delay in the refund. So try to get as close to the contribution limit as possible without going over. You should also be very careful if you change jobs during the calendar year. The TSP will not have any information regarding previous TSP or 401k plan contributions. These will share the same annual contribution limit and there will be no process on place to automatically stop or refund contributions if you contribute too much. So pay attention! Contributions are made after taxes have been withdrawn from your payroll. There are no taxes on withdrawals from a Roth TSP so long as you meet withdrawal eligibility requirements. There are no income restrictions on regarding who can contribute to a Roth 401K, so you can contribute regardless of income level. I’m a big fan of investing in the TSP while deployed because of the tax benefits – you don’t pay income tax on the money you contribute and the portion you contribute while deployed can be withdrawn tax free, giving traditional TSP contributions similar rules to Roth 401k contributions. However, there are some downsides to the Traditional TSP contributions while deployed. Only the contributions are tax exempt upon withdrawal. The earnings are still taxed. And the tax free portion of your withdrawals will be prorated across all regular TSP withdrawals. So you lose flexibility when deciding how you will make your withdrawals. It is possible to roll the tax-exempt contributions into a Roth IRA, but you will need to wait until after leaving the service before being able to make any IRA conversions. The Roth TSP, on the other hand, offers tax free withdrawals. Since you can make contributions with tax-exempt combat pay, you will have the unique opportunity to contribute to a retirement account with money that hasn’t been taxed, watch it grow without the drag of taxes slowing it down, and be able to make tax-free withdrawals in retirement. This is a unique opportunity to invest and withdraw your money without it ever being taxed! The Roth feature will eliminate the necessity to track which portions of contributions and withdrawals are tax free. However, there are still Required Minimum Distributions once you reach age 70½. Even so, these benefits make the Roth TSP feature much more flexible. Bottom line: You won’t get taxed on income and you can make tax free withdrawals in retirement. It doesn’t get any better than that! Should you invest in the Roth Thrift Savings Plan? This could be a great opportunity to save some money with great tax benefits, though it may not be the ideal situation for everyone. You should look at your investment goals, tax obligations and other factors before making the decision to switch from the traditional TSP plan to the Roth 401k, or consider contributing to a hybrid approach and making a portion of your contributions to each plan so you can diversify your tax liability in retirement. Many military members start off their career in lower tax brackets because they often receive a large portion of their income as non-taxable military benefits. This allows military members to put away a lot of money that was taxed at a comparatively low rate – potentially lower than they would be subject to in retirement years. This can be a great way to save for retirement and practice tax planning at the same time. A quick reading of the above articles will help you understand how each of these accounts will impact your current and future tax and retirement planning. Does the Thrift Savings Plan Allow In-Plan Roth Conversions? Unfortunately, the Thrift Savings Plan does not currently allow members to do a Roth in-plan Rollover. Some commercial 401k plans allow participants to transfer some or all of their current 401k plan assets from a Traditional account to a Roth account. There are generally tax consequences for the conversion, since you are taking money that was contributed before taxes and converting it to an after-tax investment account. But there can be long-term benefits, depending on your situation. One argument in favor of using the Roth option in the TSP is that, unlike many these days, Federal employees will actually have a pension — thereby increasing the likelihood of a high retirement tax bracket. Very true, Mike. Though I don’t believe all govt. employees are eligible for pension plans and many don’t stick around to earn the full pension. But overall, a great idea for the vast majority of govt. workers and military members, especially those who will retire and receive a military pension. Something I was looking for in this article that I was unable to find was the option to rollover the traditional TSP to the Roth option. Does anyone know if this is a possibility? What taxes would need to be paid, if any, on the conversion? Jason, yes, you can roll a TSP into a Roth IRA. The taxes will depend on your tax rate and potentially on other factors. My recommendation is to contact a financial planner to assist you with this. Ryan, thanks for the feedback . . . just to make sure we’re on the same page: I know my TSP can rollover into a Roth IRA . . . can it roll over to the Roth 401(k) TSP is what I was asking. My apologies, Jason. I misinterpreted your question. I understood a rollover to mean taking your funds out of your account and rolling them into a new account (e.g. rolling over a 401k or TSP into another employer sponsored retirement plan or into an IRA). My understanding is that you can only recharacterize contributions when you are rolling over the funds from one account to another (either changing employers, or into a new account type). I am not sure if you can do it while you are currently participating in the plan. That said, I am not 100% certain about this situation and I’m not sure if there has been any official guidance regarding this issue since the Roth TSP hasn’t officially started yet. You may be able to change the status of the contribution in the same tax year it is made (not sure), but I don’t think you will be able to change contributions from previous tax years. I recommend contacting the TSP when the Roth TSP is activated, or consult with a tax professional. The Roth TSP start has been postponed until 2012. Didn’t the law require starting in 2011? How long can they delay the Roth TSP? Ken, Unfortunately, I believe they can postpone it as long as they want if they are willing to rewrite the laws. The only recommendation I can make is to keep up with TSP news as it comes out. I am already maxing out my TSP per IRS rules at $16,500 per year as well as the $5,500 in catch up contributions. My question: How much can I contribute in after tax income to this new ROTH IRA TSP starting in 2012? Scott, the contribution limits should remain the same for both Traditional and Roth TSP plans, so you should still be able to contribute $16,500, plus the $5,500 catch up contributions. However, it is possible the contribution limits may change between now and then. Here are the current Thrift Savings Plan Contribution Limits. Ryan, i have maxed out tsp at $16500 and maxed out catch-up at $5500 ($22,000). This is all pre-tax.Can i also now contribute to the new tsp roth?Correct me if i am wrong…is there a pre tax limit plus a post tax limit and what is that total amount that one can contribute? Michelle, the new Roth 401k for the TSP has been delayed until 2012. However, you can only contribute up to the maximum limits across both accounts, so if it were available now, the answer would be no. That said, you can still contribute to a Roth IRA if you fall within income limits. Here are some recommended places to open a Roth IRA. Will I be able to continue to max out my current Roth IRA ($5000) and max out a Roth 401k IRA ($16500)? Will my contributions toward that Roth 401k effect my Roth IRA in any way? Also, while I am deployed, I understand that contributions are not taxed in my TSP, however, I am trying to understand how my contributions while in a tax free status effect my Roth IRA. My question is, Are my contributions to a Roth IRA ,while in tax free status, considered “tax free contributions” only because my income is not taxed? Great questions, Justin. Yes, you can contribute to both a Roth IRA and a Roth 401k for the TSP – the limits are still the same. Your Roth IRA contributions while deployed will also be tax free because your income is tax free. Here are some articles which may be helpful in understanding how it works: investing while deployed, and the Heroes Earned Retirement Opportunities (HERO) Act, which allows military members to contribute to IRAs when all of their income is from a tax free zone. Best of luck and thanks for your service! Clint, the TSP Roth 401k and a Roth IRA are separate investments with separate maximum contribution limits. You can have both investments so long as you meet eligibility requirements. You should already meet the TSP eligibility requirements, and here is more information about Roth IRA eligibility. So to answer your question, if you are already eligible for the TSP, then you would also be eligible for the Roth TSP. Thanks for all the useful information regarding the TSP Roth 401(k). Just to make sure I understand its relationship to the traditional TSP, will we be allowed to contribute to both the TSP Roth 401(k) AND the traditional TSP? In other words, will we be able to put $16,500 in tax-deferred investments (TSP) and $16,500 the Roth 401(k) as well, to total $33,000 a year? 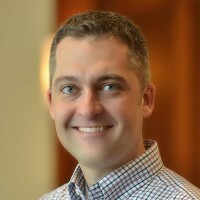 The traditional Roth IRA had a contribution limit of $5,000 (to be adjusted for inflation), but according to an interview on Federalnewsradio.com the member of the board governing the TSP stated that the maximum would be $16,500 for the TSP Roth 401(k), but didn’t specify if you could do both the TSP Roth 401(k) and the TSP at $16,500 each. Thanks again. Steve, you can contribute to both accounts, but the limit is a total of $16,500 in all. So you can mix and match as long as you don’t exceed the $16,500 limit. So $8,250 in each, $10k in one, $6,500 in the other, or any combination that doesn’t exceed the limit. This is similar to Jason’s question above. I have tax-exempt contributions sitting in my military TSP account from 2010 and 2011 deployment time. I am wondering if there will be an opportunity to rollover/recharacterize/transfer/etc. tax-exempt funds from regular TSP to the new Roth 401(k) TSP in 2012. If not, those tax-exempt funds are subject to TSP withdrawal rules/penalties and my understanding is the earnings are eventually taxable later on. I would like to get those contributions “relabeled” as Roth contributions so the earnings are tax-free as well and the original contributions are available to me prior to 59 1/2 (without penalty, like a Roth IRA). Per your reply to Jason, I understand nothing is official yet, just wondering if there is any talk on this particular subject. Thanks. Kristi, That would be the ideal solution if it is allowed. The long term tax benefits on the earnings could make a substantial difference in your retirement portfolio. Unfortunately, I haven’t read any official wording on this situation, so I don’t want to give unverified information. When the Roth TSP officially launches I will try to write some updates to this article so people will have a better idea of what to expect if they are in a similar situation. Wow, finally! I think they had just introduced the TSP when I was getting out. Now a Roth TSP? Awesome. This is going to be great for lower level enlisted members of the military and all those on deployment in tax-free zones. Looks like a great investment tool for many of those great people serving our country! Joe, yes, you are allowed to contribute to both in the same year. The limit for TSP contributions is $17,000 for members under age 50, $22,500 for members over age 50 ($5,500 catch-up contributions, and a total contribution limit of $50,000 for all members for all sources of contributions, including things such as special bonus pay, reenlistment bonuses, hazard duty pay, or any other contributions you make to your TSP account. (You can read more here). IRA contributions are completely separate and follow Roth IRA contribution rules. would it be wise for me to switch half of my tsp comtributions to a roth tsp account . I AM TRETIRING IN 3 YRS AND AM 63 IN NOV.
Doris, The fact that you are retiring in 3 years is a great time to speak with a financial planner and have him or her help you go over your entire financial plan to help you decide the best route to take. There are many factors at play, including how much you already have saved, whether or not you will have a pension, when you will need the money, how much you expect to receive from Social Security benefits (and when you plan on taking Social Security), and many other factors. You may find it better to put all of your TSP contributions into the Roth TSP if you don’t need your funds right away, or you may find it better to continue using the Traditional TSP to get the tax break now, and have your TSP withdrawals taxed when you make them in retirement. In short, there is no one-size-fits-all solution and you will do best to have a personal recommendation. It is always a good idea to do so before entering retirement, so this is a wonderful time to begin getting your finances aligned for the next major event in your life. I am retiring in 2017. I have been contributing to TSP with a mix of funds. At this point I couldn’t tell you what funds I am invested in. What is the best way to begin reorganzing my TSP portoflio to pick the right mix of funds with the right percentage allocation for each fund? I have never really found an article that helps you do these two things. Can you give me some advice? Diana, the L2020 is a good default choice with an asset allocation for anyone retiring the same time as you.